Rubber? I hardly know her! If you were using condoms in the 2000s (and based on the rampant spread of herpes, who knows), chances are you were rolling with the Trojan Man (ayo!). The contraceptive company accounts for 70.5 percent of condoms purchased in U.S. drugstores. 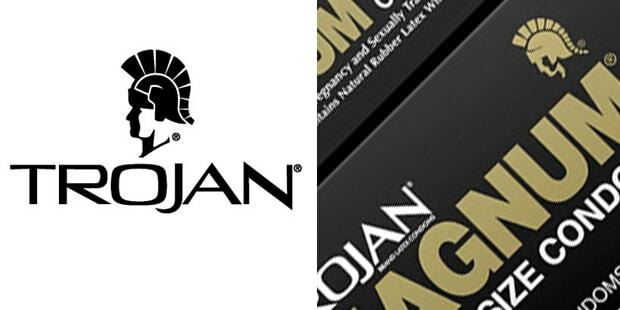 You might even say that Trojan is "sticking it" to Lifestyles, Durex, and the rest of them! Trojan manufactures 30 different kinds of condoms, including the Elexa line for women. Chicks with dicks?! No, moron, condoms marketed to women.